This is the third and, to me, the most successful in Osmo Vänskä’s ongoing Mahler cycle with the Minnesota Orchestra. Together with other ongoing Mahler cycles – namely Adam Fischer’s Dusseldorf series and Daniel Harding newer cycle with the Swedish Radio Symphony Orchestra – we can sense a trend emerges of playing direct, no-nonsense Mahler that frees itself from self indulgence and treating the score as “classically” as possible, letting the music speak for itself. There is room for diversity of touch nonetheless. Right from the opening bars, where the cellos and basses are calling out the main theme, you can sense the frightening tension in the air, persistent throughout the difficult first movement even on emerging major themes, such as the strings and brass at 06:00. It’s a test for any large orchestra, and the Minnesotas, here and elsewhere in the Symphony, pass it with flying colours. The Minnesota orchestra was one of the first to record this piece (with Eugene Ormandy in 1935), and their affinity to the music is evident. Listen to the climaxes of the development section of the first movement and see if you can resist it – how the tension forcefully breaks at around 16:00 with no artificial tempo changes, like on Simon Rattle’s otherwise fabulous account with the CBSO. Or the almost static playing before the contrasting, violent bars on 12:15, which demands extreme control from all players. The second movement is charming without being overly sentimental – Vänskä opts again for the direct approach. Rattle here is almost cynical, while Chailly in his Concertgebouw version more steady, avoiding almost completely from playfulness in the strings. Here, Vänskä allows the section to gleefully play the instructed glissando and sneak-in a smile, as Mahler intended. You need to be a fine ensemble to play the third, Scherzo movement well, and here it gets an exemplary account by the Minnesotans. Listen to the intricate exchange of all sections at around 03:20 as an example (with some lovely solo Flute playing). It’s a movement of small contrasts, and the group are completely attuned to the subtle changes in colouring required to make it effective. Simon Rattle famously had Dame Janet Baker for the Mezzo part in his 1990 account, an unforgettable performance that’s very hard to bit. But Sasha Cooke are coming very well close. Her hushed intensity is chilling in the “Urlicht” movement, very nicely accompanied by the solo violin, strings and brass. The behemoth finale movement is where opinions may split. It’s a well planned, straight to the matter performance that the orchestra and choir manage splendidly. When the “Minnesota Chorale” and soprano Ruby Hughes gets into the picture, they are treated as angelic, stoic participants. This treatment is persistent almost through the end of the movement, where the culmination is an outburst of universal proportions. Klemperer, Chailly and, again, Rattle had a more multicoloured development leading to the climatic final bars, though Boulez had a similar approach in his Vienna Philharmonic version. Arriving to the end of the movement is much more exciting with the contrast of dynamics found here, and you will have to determine if that was worth the hushed suspense. Like in the previous two volumes in this series (Symphony No. 1, Symphony No. 6), the recording is of demonstrating quality, but in this case the BIS engineers outdid themselves. This is one of the better recorded Seconds on record, perhaps one of the best recorded Mahler Symphonies, on SACD or the compatible two channels CD. With this recording conveniently fitting on a single CD, it’s highly recommended even as a supplement to other versions, some listed below. Now known as the Minnesota Orchestra, the group’s current music director, Osmo Vänskä, takes a considerably more expansive view in his new recording of the Second Symphony. This enables exceptionally precise articulation of rhythmic detail in the opening “Funeral Rites” movement, particularly in the scrunching double bass figurations and snapping cello lines that launch Mahler’s sober meditation on mortality and the meaning of human struggle. It’s a dark, introspective reading of the movement. And yet the central cataclysm pulls no punches, with the vertiginous string descent perfectly executed at the movement’s helter-skelter conclusion. The second and third movements are more relaxed, allowing for plenty of charming, piquant woodwind playing to register. Mezzo-soprano Sasha Cooke’s moving account of the “Urlicht” movement is a brief oasis of calm before the storm of the finale, where the “Resurrection” of the symphony’s title takes place. Vänskä builds this 35-minute movement patiently, but there is no stinting on raw power when the Minnesota Chorale joins for the apocalyptic final moments. The startlingly clear sound captured in Orchestra Hall by Bis’ engineers is a major bonus in this heaven-storming conclusion. ​Those who like their Mahler to be constantly teetering on the brink of nervous exhaustion may find parts of this “Resurrection” too slow-burning and even-tempered. Vänskä doesn’t do histrionics. But the sheer range of emotional nuance here is a revelation, just as it was in the orchestra’s previous recordings of Symphonies 5 and 6. Vänskä will complete the full cycle of Mahler symphonies before stepping down as music director in 2022. With seven more recordings to go, the series is shaping up to be a defining achievement of his Minnesota Orchestra tenure. Joyful Bach heralds the holiday season at the Minnesota OrchestraBaroque specialist Nicholas Kraemer conducts the second part of the 0rchestra's two-year Christmas Oratorio project. Performing baroque music is not as easy for symphony orchestras as it used to be. The past four decades have seen a revolution in our appreciation of playing styles in the baroque period, and specialist ensembles using historically accurate instruments have all but cornered the market in Bach, Handel and Vivaldi. Is it still possible for a modern symphony orchestra to flip back to the baroque manner and make a convincing fist of rivaling the specialists in authenticity? On Saturday evening, the Minnesota Orchestra proved that it is, in an ebullient performance of Cantatas 4, 5 and 6 from Bach's Christmas Oratorio. The key ingredient was the presence of Scottish baroque specialist Nicholas Kraemer on the conductor's podium. His influence was strongly felt in the lean, sprightly performance of Bach's Third Orchestral Suite that opened the concert. Playing without vibrato — the quivery finger effect employed to richen tone — the violins zipped hyperactively through the infectious dance rhythms of the quicker movements while the famous "Air" lilted along with none of the gooeyness it's sometimes given. A similar lightness of touch imbued the Christmas Oratorio cantatas that followed after intermission. They told the second part of the Christmas story that was begun in last December's Minnesota Orchestra performances of Cantatas 1-3. For the Oratorio, the orchestra was pared down to roughly half its normal size and was joined by 49 singers from the Minnesota Chorale, plus four soloists. Once again the key influencer was conductor Kraemer. Bobbing and jigging on the podium, he coaxed delectably incisive playing from the orchestra and exceptionally vivid singing from the choir. Bach's sinuous oboe writing plays a prominent part in the Christmas Oratorio, and there was wonderfully fluid playing from principal oboe John Snow and associate principal Kathryn Greenbank. In an unusual move, they were separated in "Flösst, mein Heiland," a so-called "echo aria" where Greenbank responded to Snow's onstage playing from a position on the first balcony of Orchestra Hall. Beside her was Minnesota Chorale member Sara Payne, who similarly echoed phrases from soprano Sherezade Panthaki's mellifluous performance of the aria. The nimble duetting of violinists Susie Park and Peter McGuire was a highlight of the tenor aria "Ich will nur dir zu Ehren leben," where soloist David Portillo did well to etch the coloratura runs at Kraemer's vertiginously zippy tempo. Portillo was an ardently communicative narrator as the story moved from the christening of Jesus to the Wise Men's visit and Herod's murderous intentions. Baritone Christopher Edwards briefly lent Herod a touch of pantomime villainy in the recitative "Ziehet hin und forschet fleissig," and sang the bass aria "Erleucht auch meine finstre Sinnen" with impressive solidity. The English countertenor Robin Blaze made fluid contributions, and conductor Kraemer pulled the various strands of Bach's musical tapestry together in an invigorating performance of the closing chorus "Nun seid ihr wohl gerochen." It was a joyful peroration, capped by Manny Laureano's exuberant rendition of the preposterously difficult solo that Bach gives his principal trumpet. What’s new? At a Minnesota Orchestra concert, usually not much. While music director Osmo Vanska has long spoken of his desire to expose audiences to new music, the programming over at Orchestra Hall can often seem on the conservative side. Familiar favorites tend to be the chief drivers of ticket sales, fresher fare sprinkled in only intermittently. Rare is the concert at which two of the three pieces were premiered in the last 22 years, but that’s what Vanska and the orchestra are presenting this weekend. There’s the local premiere of a stirring 2014 work by Syrian-American composer Kareem Roustom. And while composer John Adams may not seem “new” this far into his career, his 1996 clarinet concerto, “Gnarly Buttons,” challenges enough of the classical conventions to still sound iconoclastic. Ah, but it would be particularly daring to have the first weekday “coffee concert” of the season feature nothing for the traditionalists. So “The Planets” was the headliner, Gustav Holst’s very popular orchestral suite receiving an interpretation with all of the desired power, punch and dreaminess. This weekend marks the centennial of the work’s premiere, and Vanska and the orchestra made sure that it was delivered with as much vitality as the younger music on the program. Roustom’s “Ramal” actually has a lot in common with “The Planets,” what with its powerful percussion, urgent full-orchestra explosions and a lithe ascending line right out of “Mercury.” There’s also a lot of menace afoot, as well as relentlessly turbulent time changes that can make you feel tossed about. But a mystical aura emerges, the absorbing work leaving me intrigued to hear more of Roustom’s creations. English clarinetist Michael Collins had a lot to do with bringing Adams’ “Gnarly Buttons” into the world. Knowing that the composer was a clarinetist himself, Collins badgered him about writing a clarinet concerto until he finally delivered one that Collins debuted in London. It’s unusual in its instrumentation, featuring an orchestra of only 17 musicians, two of them on electronic keyboards and another on mandolin, banjo and guitar. Yet the focus never strayed far from Collins’ exceptional musicality. Through many a clearly difficult passage, he was smooth and dexterous, his caramel tone like a steady guide across uncertain ground. The middle movement, “Hoedown,” shared more than just a title with an Aaron Copland piece, as the orchestra two-stepped emphatically beneath Collins’ soaring jazz-flavored lines. The finale, “Put Your Loving Arms Around Me,” was beautiful, with sweet solos by bassoonist Mark Kelley and Julie Gramolini Williams on English horn proving an ideal complement to the urgently pleading melancholy of Collins. Then it was off to “The Planets,” and it proved quite a rewarding journey. “Mars” felt like one long dark, disturbing eruption that could have been crisper in the concluding hammer blows, but nevertheless brought chills with its full-blown fortissimos. While “Mercury” dragged its winged feet a little too much, the ensuing two movements were both exceptionally well-executed: “Jupiter” had all the buoyancy for which one could wish, while “Saturn” was suffused with a deep emotional complexity, like a troubled prayer, a paradoxical blend of strength and uncertainty. After the mad march of “Uranus,” the wavering unease of “Neptune” soon faded from earshot, the women of the Minnesota Chorale spiriting it away down the balcony hallways, bringing a dreamy conclusion to a concert at which even the old felt new. Can music ultimately do anything to cure the ills of humanity and the evils we inflict on one another? No work in classical music raises that question quite so acutely as Beethoven's Ninth Symphony, the main item in Saturday evening's Minnesota Orchestra program. Three movements containing a combustible mix of turmoil, agitation and conflicted introspection eventually give way to a finale where joy explodes, and human voices sing a hymn of optimism to the future. How convincing does that grand conclusion sound in the riven atmosphere of 21st-century America? On musical terms alone, Saturday evening's performance of the Ninth was a considerable triumph. Conceived as part of the Minnesota Orchestra's "Music for Mandela" series celebrating the 100th birthday of the great South African statesman, it had power and eloquence in plenty and was played with singular commitment. Cellos and double basses fizzed with articulate energy in the crucial recitative passages of the finale. In the hyperactive second movement woodwind clucked and chirruped tirelessly, while the slow movement's counter-melody was movingly voiced by the second violin section. Conductor Osmo Vänskä's Beethoven — taut, propulsive, cuttingly dramatic — is a known quantity from his many Orchestra Hall performances and his Minnesota Orchestra recordings. On Saturday evening, though, special ingredients were added. A quartet of solo singers from South Africa featured in the finale, adding a unique fervor and authenticity to Friedrich Schiller's words about human solidarity and freedom. The Minnesota Chorale had also been augmented with singers from The Better Together Choir and 29:11, a vocal ensemble from Cape Town. They blended seamlessly together in a highly charged account of the famous "Ode to Joy," which ends the symphony. In the search for textual clarity words were occasionally over-accented in a mannered staccato fashion, with syllables forcibly separated. But overall the chorus's energy was mighty, and some gloriously stirring sounds swept through the auditorium. The concert opened with "Harmonia Ubuntu," a new work by South African composer Bongani Ndodana-Breen specially written for the Minnesota Orchestra's forthcoming tour of South Africa. "Ubuntu" is a Nguni Bantu term implying that the integrity and dignity of one human is inextricably linked to that of others. It was a key concept to Nelson Mandela, and a selection of his sayings provided the text for Ndodana-Breen's 12-minute setting. Mandela's eloquence was offset by a bubblingly eventful score that effectively referenced African rhythms and melodies, and peppered the orchestral textures with a Wasembe rattle and a djembe, two African percussion instruments. Soprano Goitsemang Lehobye was the fervent soloist. Compared to Beethoven's towering Ninth Symphony, "Harmonia Ubuntu" is a relatively modest, unassuming composition, based on virtually incontestable concepts of simple human decency. By comparison the Ninth, for all its heaving, convulsing and wrestling with destiny, seemed to tread a more dogged, effortful path toward eventual release and revelation. Must it necessarily be that way? Ndodana-Breen's short, stimulating work suggested that the path to peace — personal peace, anyway — may not always need to be a titanically protracted process. In this year of the Bernstein centenary, there’s no dearth of performances of the iconic composer’s music – at least here in America. This Minnesota Orchestraconcert led by Andrew Litton was no exception, with half of the program being taken up by two Bernstein compositions. Fancy Free is an early Bernstein creation, dating from 1944 when the composer was just 26 years old. Yet it’s a highly representative work – indeed, one of the best examples of Bernstein’s use of dance rhythms and jazz idioms in his music. Conductor Andrew Litton leads the Minnesota Orchestra and Minnesota Chorale in Bernstein and Walton this weekend. There’s a lot of Bernstein about this year. Many a purveyor of classical music and musical theater is finding a way to pay tribute to composer Leonard Bernstein on the 100th anniversary of his birth. The Guthrie Theater’s doing “West Side Story” this summer, and the Minnesota Orchestra has already presented the film version (with live orchestra) and other works. Meanwhile, others are delving into his chamber music, choral pieces and other fare. But I finally encountered the Bernstein tribute I didn’t know I needed on Friday night at Minneapolis’ Orchestra Hall. Conductor Andrew Litton and the Minnesota Orchestra devoted half of the program to Bernstein, and it was his “Chichester Psalms” that struck me strongest, the Minnesota Chorale offering a Bernstein gift that you may have overlooked: his way with choral harmony. It’s a very moving 1965 setting of psalm texts, and the choir and orchestra made them simply beautiful. Now, granted, that work wouldn’t even be called the “magnum opus” of the program. That would be William Walton’s “Belshazzar’s Feast” and the orchestra and choir made that 20th-century English cantata – also based in the Hebrew Bible or Old Testament – a very exciting musical experience. It was bold and brassy, given high drama worthy of a Cecil B. DeMille epic. And, as on the “Chichester Psalms,” the orchestra and choir were equally outstanding. It would be understandable if you saw Andrew Litton’s name and asked, “Is it Sommerfest already?” But Litton concluded his 15-year tenure as artistic director of that summer music festival in 2017. A key difference between that different-program-every-night approach and this week’s subscription concerts is rehearsal time: Litton and the musicians are able to more fully shape their interpretations of Bernstein and Walton. And that showed from the concert’s start Friday night, as Litton led the orchestra in the complete ballet music from “Fancy Free,” which the young Bernstein composed in 1944. If a dance-filled story of three sailors looking for love on leave sounds like the musical, “On the Town,” know that this ballet inspired that stage musical. (The film kept the story, but jettisoned Bernstein’s music… unfortunately, for much of it is wonderful.) The Minnesota Orchestra doesn’t always swing as much as it could, but it did here, admirably negotiating the score’s rhythmic puzzles and mood shifts from garrulous to steamy to hyperactive to melancholy. Maybe the reason that the “Chichester Psalms” made such an impression upon me is that it doesn’t hold a trace of the quest for commercial success that drove Bernstein’s greatest hits. Written for an English choral festival, the piece feels like a deeper undertaking than any of his other works for the theater or concert hall, a setting of psalm texts sung in the Hebrew that the composer learned in his youth. And youth plays into the work, for he insisted that the lone soloist be a boy soprano singing Psalm 23 (“The Lord is my shepherd”). Yet it’s the work’s final movement that made me feel as if Bernstein were reaching into hearts from beyond the grave, a soft yet urgent plea for peace. Walton’s “Belshazzar’s Feast” was quite the dynamic contrast, full of explosive exclamations and stirring exchanges between orchestra, choir and baritone Christopher Maltman, whose powerful voice delivered much of the tale of bawdy Babylon’s fall. If the “Chichester Psalms” asked for subtlety from the musicians, “Belshazzar” requested a forthrightness bordering on bombast. Both works made a joyful noise (and referenced one), Walton’s work climaxing with trumpets in the balconies and a full-throated “Alleluia” that I would heartily echo. "Belshazzar's Feast is among the most difficult works in the choral symphonic repertoire." If anyone would know, it's Kathy Saltzman Romey, artistic director of the Minnesota Chorale. Since March, she has been preparing her singers for their performances this weekend with the Minnesota Orchestra and conductor Andrew Litton. 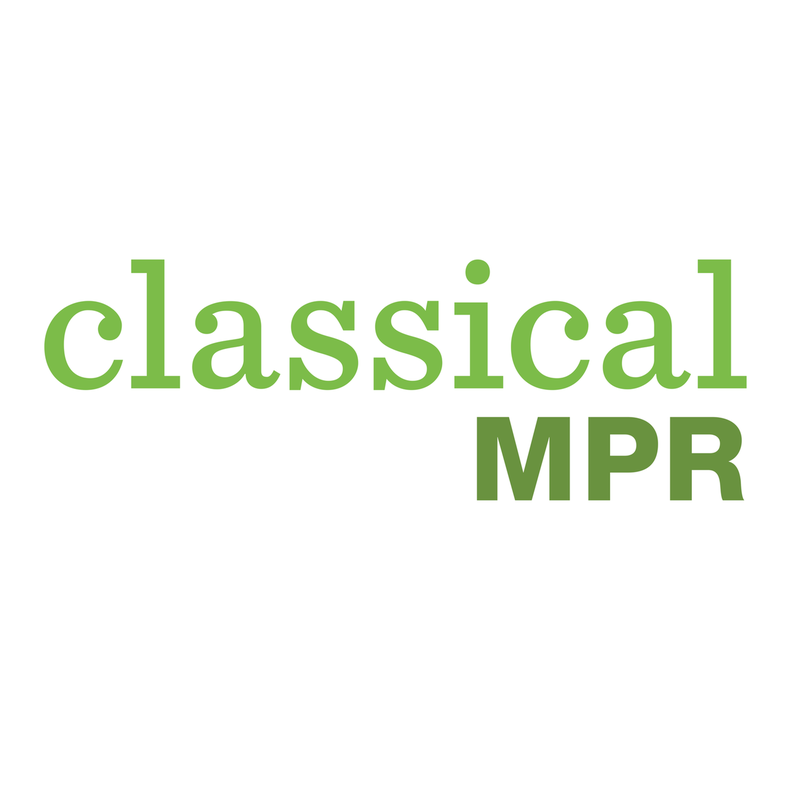 You can hear a live broadcast of Friday's concert at 8 p.m. on Classical MPR, hosted by Julie Amacher. Belshazzar's Feast, by English composer William Walton, is a raucous oratorio first performed in 1931. It recounts the story of the Jews' Babylonian exile, the midfeast judgment of God against King Belshazzar, and the celebration of the toppling of his oppressive regime. It's heady, exuberant stuff that Walton brings to brilliant life with a huge chorus, huge orchestra, and even two brass bands. "I think that Walton is a master in terms of the way he uses color in the orchestra and chorus to depict this story," Romey says. "The writing is so vivid that I have to constantly hold the chorus back and say, 'You can't sing quite that loud yet!' Over 10 scenes, the story grows and grows and grows, leading toward the final climax and these huge songs of praise. In the end, it's a sheer dance of joy." Part of the way that Walton achieved this effect was by splitting the vocal writing into a mind-bending number of incredibly difficult parts. Romey explains: "It opens with men's chorus and larger mixed chorus. Later there's a semi-chorus followed by a double chorus. There is even a double semi-chorus. There are also a cappella passages where the orchestra suddenly drops out completely and then dramatically re-enters, and wonderful sections of dialogue between chorus and orchestra. It's a remarkable and exciting work in the nature of Walton's film scores. But unlike other cantatas or oratorios we've performed, the chorus is on almost all the time." How does one possibly go about preparing such a piece for performance? Romey tackled the myriad of challenges head-on, committing to months of score study, contacting colleagues who've prepared the work, recommending the Litton recording of the Walton to her singers, and running rehearsals like a game of time-management Tetris. "Sometimes I'll work with just one group while the other group breaks, and then I'll bring back the other group and work with them," she says. "It all comes down to time management." For Americans, one of the challenges of presenting Balshazzar's Feast is our relative unfamiliarity with the sprawling score. The work is in Britons' blood, Romey observes, but not many Americans'. "Of the 150 singers," Romey says, "I had only a handful that knew the work and a few who had sung it previously. That's probably one of the greatest challenges of any symphony chorus, is to begin the preparation of a choral symphonic work that they don't know and have not heard before. We're coming at this completely fresh, which is exciting. But it has put very large demands on the individual choristers to spend a great deal of time preparing and practicing their parts outside of rehearsal. "While they do that in any case, this work is so unfamiliar and has many more technical challenges in it. The writing is often in extremely high range and quite athletic; suddenly, the music shifts and the choir sings very softly and expressively. They also have many passages that move at incredibly high speed. Just getting the text out and articulating it while creating the mood and drama precisely and accurately in the moment has been something we've really focused on." As if the Feast wasn't filling enough, in the first half of the concert, the Chorale will also present Bernstein's 1965 work Chichester Psalms. ("It's classic Bernstein," Romey says. "If you love West Side Story or Candide or any of his musicals, this is Bernstein in miniature form.") The Psalms provide a prelude of sorts to Walton's ecstatic celebration of freedom, quoting Psalms praising God and feelings of peace, freedom, and unity. The program as a whole takes listeners on a "dramatic journey in music which is so descriptive and incredibly colorful," Romey says. "The singers love their role in narrating this story in detail." The double billing may have been a challenge to put together, but it's the kind of challenge the Chorale (and Romey) relishes. "The Minnesota Chorale," she says, "is tremendously excited to collaborate with the orchestra and Andrew Litton in presenting these amazing works." "Minnesota Orchestra and Chorale offer a "Requiem" of rare beauty"
Bernard Labadie had an unusual request. Before leading the Minnesota Orchestra and Minnesota Chorale in Gabriel Faure’s “Requiem” Friday evening, the Canadian conductor asked that the audience in Minneapolis’ Orchestra Hall greet its conclusion with silence. That the impulse to applaud be ignored, and that everyone pause for reflection before departing quietly. It turned out to be a tough task. For the ensuing performance was an inspired one, a moving, powerful interpretation of Faure’s soft setting of the mass for the dead, a work less about the pain of loss than the wish for peace and the warm solace of a well-deserved rest. And Friday’s beautiful take wrapped listeners in a magnificent sound, the choir’s richly textured harmonies intertwining with an excellently executed orchestration, the solo voices of a baritone and soprano floating above them as if on angels’ wings. And it all ended in silence. But that felt more than appropriate, for this was not written for the concert hall, but for the church. Or, more accurately, the cemetery, for Faure departed from the traditional “Requiem” text to conclude with a prayer customarily offered at a burial. So bathed in a sense of triumph was that “In Paradisium” that responding with reverent silence was both ideal and quite difficult. ...The timeline leaped forward a century for the concert’s second half, which opened with the choral version of Faure’s popular “Pavane,” a short work of transporting beauty. Flutist Adam Kuenzel gave both heft and airiness to the main theme before it was taken up by the rest of the orchestra, the 107-voice choir laying lovely descants atop it. This was a case in which the text may have been more of a distraction than an enhancement, for Robert de Montesquiou’s poetry could be somewhat confounding, especially in the projected translation. Best to let the lovely sound of the choir’s French waft over you without the intellect’s interference. Our guide for a few legs of this journey to the afterlife was Philippe Sly, a bass-baritone with a gorgeous, textured tone. His solos on the “Offertorium” and “Libera me” felt like an invitation to eschew sorrow and embrace the comfort of rest. On the “Pie Jesu” section, soprano Helene Guilmette’s voice danced divinely with the nuanced organ of Dean Billmeyer, who was exceptional throughout the mass. Labadie spoke in his introduction of a particular personal connection to Faure’s “Requiem,” and it wouldn’t be surprising if it had something to do with his own brush with death a few years ago. Diagnosed with lymphoma, Labadie went through multiple stem cell transplants, chemotherapy and an extended coma. He still battles weakness that likely accounted for his choice to conduct from a piano bench that sat high atop a tiered podium. It ironically made him seem all the more the master of the music, drawing attention to the clarity and authority of his cues and the way he sculpted the sound with his hands. I’d been hearing great things about Labadie for years, and this concert made me particularly grateful for the opportunity to at last experience his artistry. "Minnesota Orchestra brings out beauty, intensity of Fauré's Requiem"
Conductors generally like applause, and some are good at milking it. But on Friday evening at Orchestra Hall in Minneapolis, the French-Canadian Bernard Labadie did the opposite: He asked the audience to refrain from clapping. ...Labadie's performance of the Requiem was exceptionally successful. Perched upon a double riser on a piano stool, he paced the music beautifully, distilling a soothing atmosphere of elegance and quiet intensity from the performers. The Minnesota Chorale, fastidiously prepared by artistic director Kathy Saltzman Romey, responded with style and sophistication to Labadie's direction. The singers caught particularly effectively the sense of vocal levitation Fauré conjures in the exquisite Sanctus, and kept their tuning sweet in the a cappella and lightly accompanied moments. Vibrato was rightly kept to a minimum, lending an extra sense of lightness and ethereality to both the tenor opening of the Agnus Dei, and the otherworldly soprano line of In Paradisum. "Minnesota's best classical music concerts bubbled with optimism in 2017"
"500 Years Later, the Reformation Is Still Creating Music"
...No such strictures need apply to Mr. Currier’s “Re-Formation,” which is obviously intended for the concert stage and for contemplation rather than worship. And Mr. Currier, who is not Lutheran, gives the piece a decidedly secular twist, though without losing the biblical context. In fact, he harks back past “A Mighty Fortress” to its Old Testament source: Psalm 46, “God is our refuge and strength,” often called Luther’s Psalm.The Psalm text exalts God’s protection amid a hostile universe: “Therefore we will not fear, though the earth give way and the mountains fall into the heart of the sea.” Mr. Currier “changes the roles,” he said in an interview, suggesting that it is we who must come to the rescue of an ailing environment. The work, in its shift from sacred to secular, from brimming confidence to the slimmest thread of hope, is harrowingly effective. If not the most celebratory concept imaginable, it is nevertheless salutary in pointing up the need for our time to summon the Lutherian grit and imagination to change, to re-form, the world yet again." "Minnesota Orchestra concert a powerful tribute to Martin Luther"
...Currier’s “Re-Formation,” a piece that could be described as a deconstructionist take on the Mendelssohn symphony, but that would be shortchanging the composer’s vision. Yes, Mendelssohn makes cameos repeatedly — most welcome in the airy ascending string lines from the “Reformation” Symphony’s first movement — but “Re-Formation” has far darker terrain to traverse. Involving moments arrived in an explosive movement called “Broken Symphony,” the strings scurrying about while low brass stomped through heavily like the forces of evil. The choir gave fine voice to a pastiche of Psalm passages in Hebrew, Latin, German and English, but its greatest contribution to this thought-provoking piece was on the moving finale, a setting of a poem by Sarah Manguso. In it, the earth is asked for forgiveness and mercy, a resonant plea in a time of destructive disasters. As Luther’s hymn re-emerges on a celeste — sounding like a lullaby from a music box — the choir whispered the final fading phrases, bringing an end to a gripping work and a memorable concert." ...The first part of the concert was splendid. And then came the Mahler, so magnificently played that we spent most of the 90 minutes leaning forward or standing (we could do that where we were sitting, in a back row of a side balcony). It was almost like watching a grand theater piece, with musicians exiting and entering, soloists appearing (mezzo Sasha Cooke in glittery black, soprano Ruby Hughes in a sweep of crimson), and our mighty Minnesota Chorale at the back of the stage, waiting patiently through the first four movements (they don’t get to sing until the fifth), then entering, almost at a whisper, with “Rise again” sung in German. From there, it was a straight shot to Heaven, carried by glorious voices, brilliant brass and pealing bells. All led by Osmo Vänskä, pure energy on the podium, bringing out the best in everyone on the stage. We’re still buzzing from both concerts. Both the SPCO and the Minnesota Orchestra ended 2016-17 in peak form and made us eager for their return. Back when both were locked out in labor disputes, some people were asking, “Do we really need two orchestras”? Two singular, remarkable orchestras, committed to their communities? We’re lucky to have them." ...It’s possible, given the scope and sensual beauty of the piece, for it to make an effect even in a routine performance. There was nothing routine, however, about the performance Friday night. Vänskä, always an animated figure at the podium, looked on this occasion to be in constant motion, urging the musicians to deliver ever-bigger, ever-more-vivid sound, as if his life depended on the outcome; and the orchestra, never less than good these days, responded with 86 minutes of precise, artfully-sculpted, cohesive playing. ...What was special Friday night was the sheer force of the playing. The funeral march at the start was like a fireball of energy propelled from the stage. The country dance in the second movement carried an aura of gentle sadness and nostalgia, and the vast finale where, as Mahler put it, “the earth quakes, the graves burst open, the dead rise and stream on in endless procession,” a vivid picture was painted of apocalypse and ultimate transcendence. ...The chorus, superbly prepared by Kathy Saltzman Romey, sang with admirable resonance and commitment..."
Just as on Beethoven’s Ninth Symphony — a work with which the “Resurrection” Symphony has much in common — a solo voice intrudes upon the orchestral landscape. But it’s a far gentler voice here, the smooth, sweet instrument of mezzo-soprano Sasha Cooke singing confidently of transcending earthly bonds. It would be the evening’s most gripping vocal performance, but the Minnesota Chorale made such a glorious sound on the finale that tears flowed in the balcony around me." Edo de Waart led a dramatic performance of Elgar's mystical "Gerontius." ...The Minnesota Chorale, prepared by Kathy Saltzman Romey, sang with compelling urgency and maximum clarity and with just the right sneer in their tone for their portrayal of the Demons. At all times the conductor showed a strong feeling for Elgar’s long lines and surging emotions. This is a work De Waart obviously cherishes. He recorded it not long ago with the Royal Flemish Philharmonic. It would be to our benefit if he conducted here more often. "...[W]hat a pleasure to experience the Minnesota Orchestra lending its rich sound to Verdi, whose music usually only finds its way onto their music stands every few years at the Sommerfest opera finale. But if anyone stole this show, it may have been the Minnesota Chorale, which covered a wide expanse of moods and dynamic levels and brought tremendous emotional power to each section of the mass." "If there is such a thing as a “conductor’s piece,” Verdi’s Requiem, his setting of the Roman Catholic funeral mass in memory of the poet and novelist Alessandro Manzoni, is one of them. "As proof, consider the way record collectors talk. They speak of the “Leontyne Price ‘Aida’” or the “Callas ‘Norma.’” But it’s the “[George] Solti Requiem” or the “[Riccardo] Muti Requiem.” This means two things: first, that the singers can’t carry the Requiem. If the conductor is weak, it doesn’t matter how good the soloists — or, for that matter, the chorus singers — are. "It also means that a conductor needs to display a strong conception as he moves through this profoundly beautiful and moving drama of life, death and salvation. Verdi wasn’t a churchgoer in his last years, but he felt these matters deeply: the fear of death and the hope for some kind of ultimate consolation at the end of life, an outcome about which he remained anything but certain. "Happily, the performance of the Requiem by the Minnesota Orchestra at Orchestra Hall Friday night scored heavily on all counts. Here was an accomplished conductor — Roberto Abbado — leading an excellent, well-trained chorus — the Minnesota Chorale — and four first-rate soloists in a galvanizing account of this massive work, exploring its operatic scale and thrust while remaining attentive to the score’s smallest details."